I am someone who cannot be coerced to exercise, eat healthy or get the right amount of sleep. I eat my daughter’s chocolates before she spots them, sleep late at night after a Netflix binge watch and stir myself at 5.30 am to do the school run with my daughter. Once she is off, I am tired already and tell myself that I will go to the gym today. But then I tell myself, “I will go tomorrow” and sit at home, skip breakfast and start getting ready for work. Not a great way to start the day, right? Recently, however, I got a small scare. The doctor told me that my sugar could be high and that I could be at a risk for diabetes if I didn’t control my eating habits and up my physical fitness game. I managed to dodge the bullet this time but what if I didn’t get another chance? It’s next to impossible to take drastic health steps because I am just not interested in it as much as other people are, so I decided to take baby steps. I then realized that these 4 simple health hacks completely changed my body, my energy levels and the way I worked. Before I became more courageous than Lewis Hamilton and started driving a car in a crowded Indian city, I didn’t know how to drive. I would walk almost everywhere, unless it was a far-off place that needed an auto (this was before Uber and Ola entered the scene.) If I calculated the amount of time I spent walking in a day, it was around 3 hours. I was constantly on the move and came back with heavy bags of grocery, books or other items. Enter car ownership and everything went down the drain. I would drive to the closest of places, even though the area where I live in the city is full of life and verve and perfect for a walk. Parking would be a pain and I would lose time in just finding a place to park. So I decided to stop using the car for anything that was shorter than 2 kms and saw a huge difference in my energy levels, appetite and general body rhythms. I don’t care much about water except when I am thirsty to the point of being parched. That’s never good I know, but how can one hydrate when water is just, well water? It’s simple — infused water consists of fruits, raw vegetables and herbs immersed in water. Ever been to those fancy bistros or cafes that have herbs added to the bottle of water? Our grandparents used to put tulsi in water and drink it. 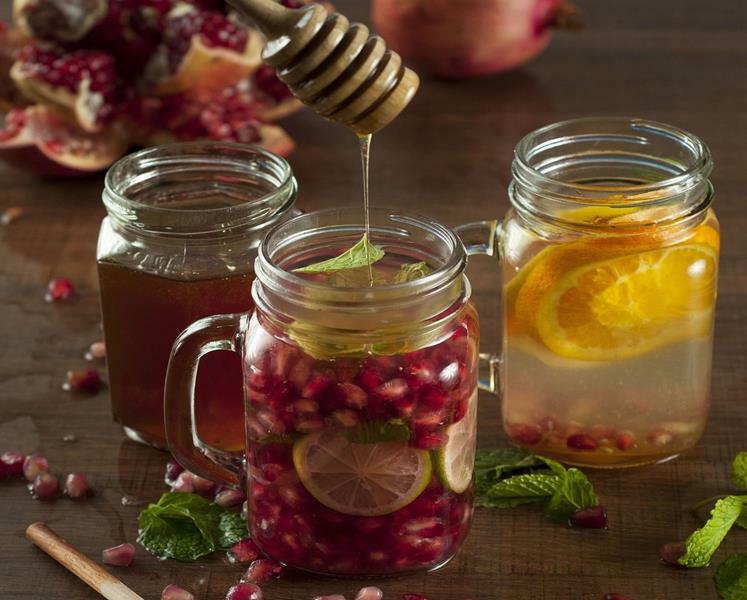 Infusing is when you extract the nutrients, flavours and chemical compounds. You can get super creative and use kiwi, blueberries, cucumber, ginger and more. To make sure that the lemon rinds don’t make the water bitter, artificial ice cubes can keep them fresh. This is especially perfect for people who are always on the go or who need quick and creative ways to get the nutrients in. Infuser bottles are available online or in stores. Remember, the longer you infuse it, the better! Mango and strawberries are perfect for infused water, and don’t forget to eat these beauties after the water is through. It’s delicious and you can look online for infused water recipes. Fancy a hydrating mocktail? It is such a simple task but this one little habit has upped my energy levels and my stamina and reduced my sugar considerably. It has also prevented my dental problems. My biggest vice was that I would snack, especially on packed and sugary items, late at night. But not only have I stopped doing that, I end the day with a fruit or a raw vegetable. It’s either an apple, oranges, pineapple, avocado, or if I am a little hungry, a Greek salad or even a small bowl of museli. Because I am expecting this little healthy snack as the last meal of the day, I reduce the size of my dinner and make it light. I then have a heavy breakfast and a reasonably sized lunch. It has made me fitter, sleep better, wake up fresh and given me newfound energy. Wowza! These three little hacks worked for me and put me on the path to taking health seriously. It may be different hacks for you but do try out the infuser bottle! It changed my metabolism and body composition in such a miraculous way. 0 responses on "3 simple health hacks that changed my life"